Progettazione, or the “Projection of Curriculum” is a complex and yet rewarding process in which educators of Reggio Emilia imagine potential paths for the emerging curriculum. Inspired by the Reggio Emilia approach, the educators at Frog Hollow have been experiencing with this process for the past few years. 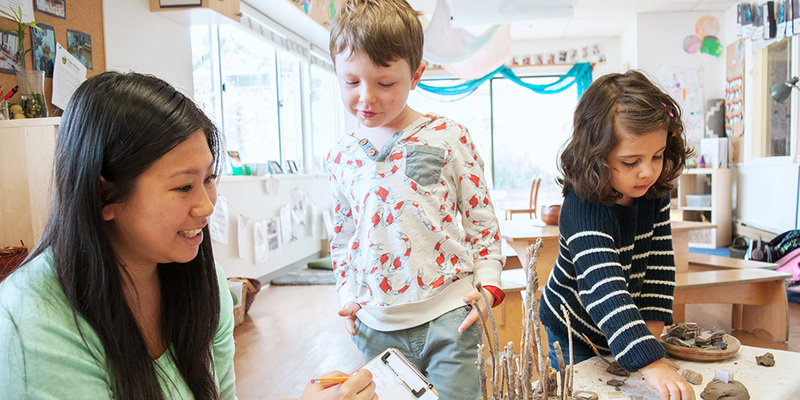 The Curriculum Design Process consists of 6 stages that are each essential to designing emergent curriculum and partnering with children in their in-depth projects. While it’s difficult to pick a “starting point”, the work usually begins with the Observation stage. 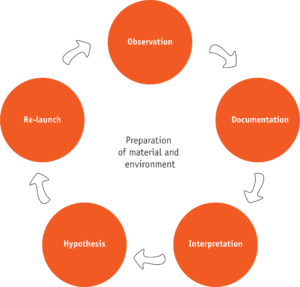 Our educators take time to go through each stage and they recognize that this process in not a linear one – so stages may be repeated or skipped.